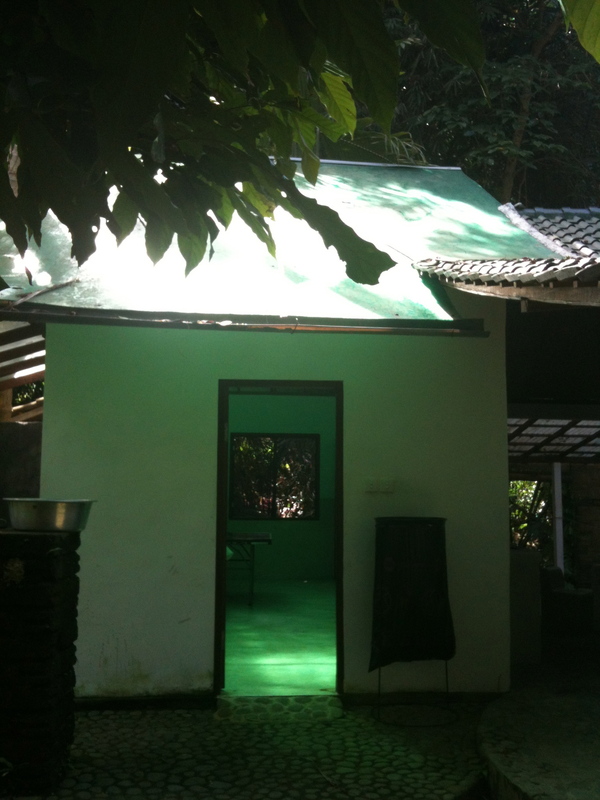 Entrance of the Coconut House on a sunny morning. 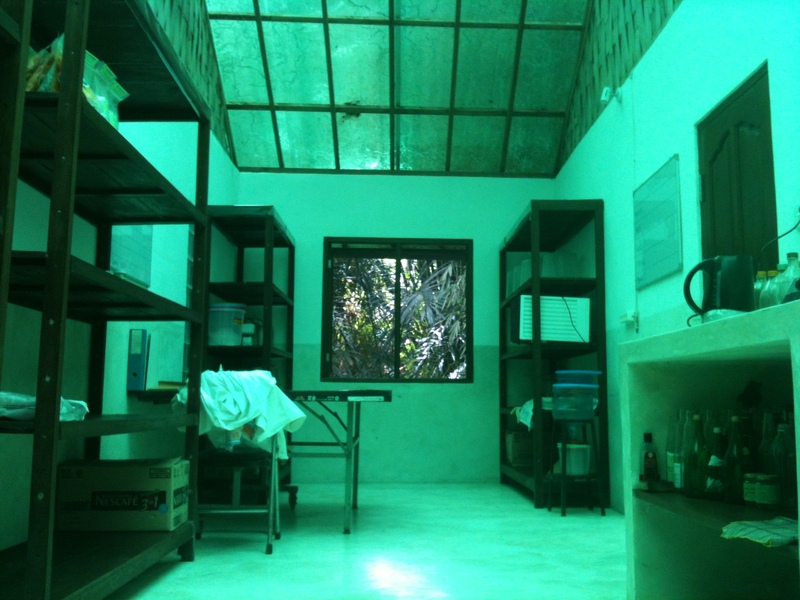 The whole procedure takes place in this small building. 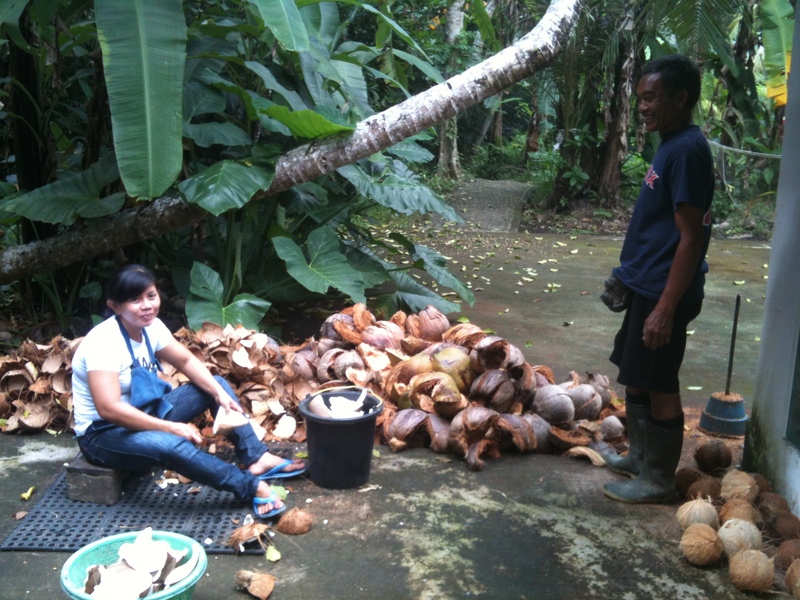 Nyoman and Ketut are opening the coconuts which were just harvested from the trees. 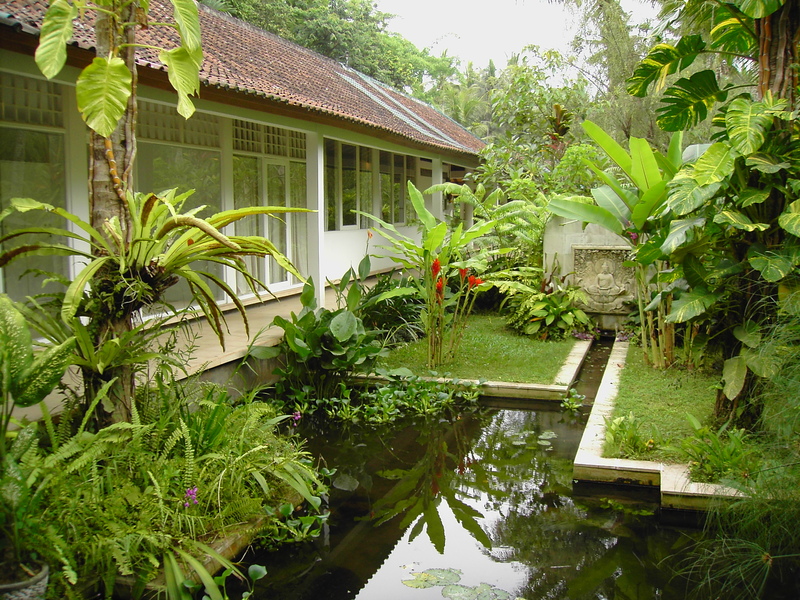 The green roof of the coconut house immerses the room in a green light. 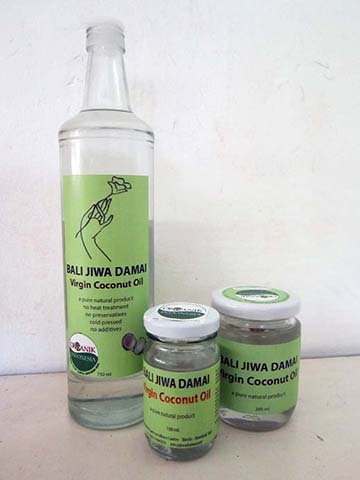 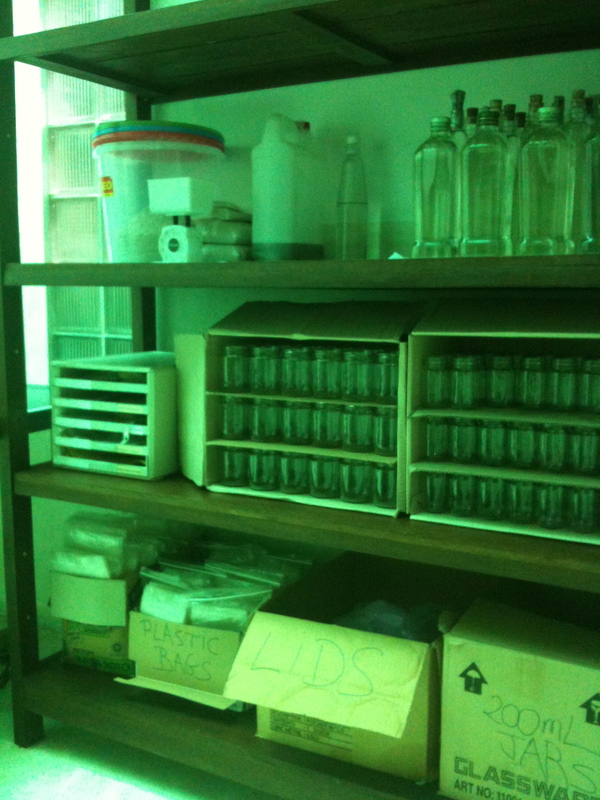 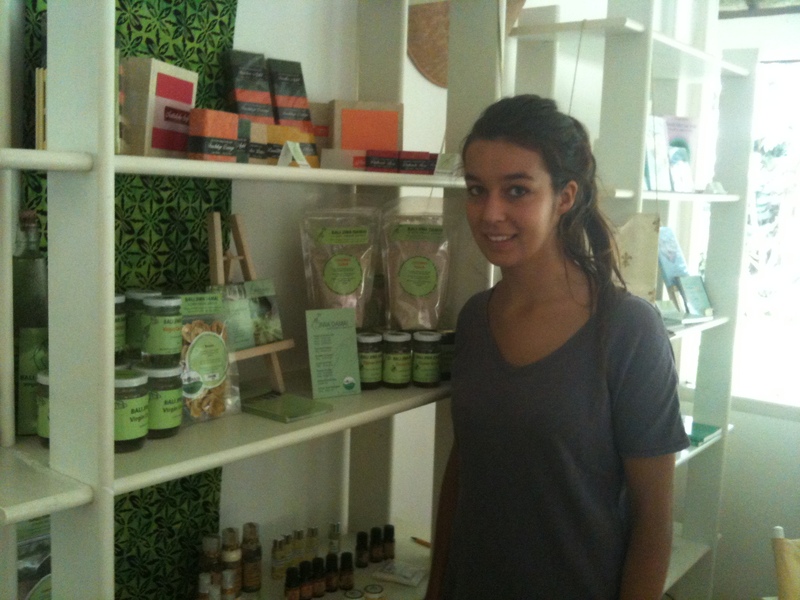 Clara, our intern, in the small sales area of Jiwa Damai with the organic products.